Pastel purple hair are one of the most adorable and cute looking hair colors of all time. They suit best on women with fair complexions and lighter undertones. However, women with darker skin tones too can totally rock this hair color if worn right. 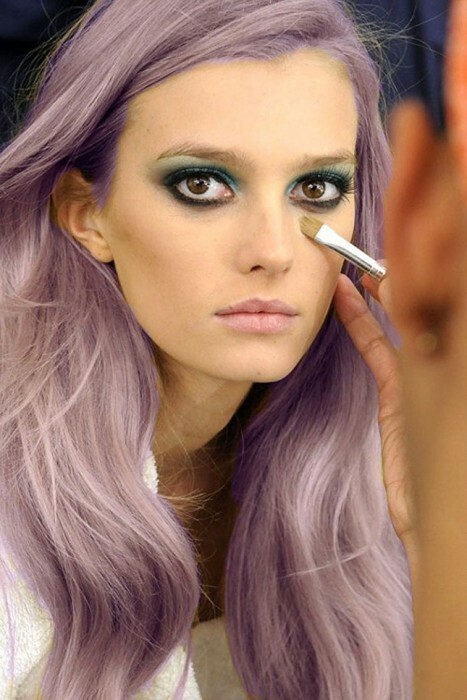 Here are some of the prettiest pastel purple hair color ideas for you. Rainbow hair is an excellent idea if you are looking for some exciting pastel purple hair colors. Katy Perry is wearing almost all the rainbow colors in her hair and it looks lovely! The trick is to go for the pastel and purple shades with an added touch of orange and blonde. This is stunningly gorgeous hair color especially made for natural blondes. 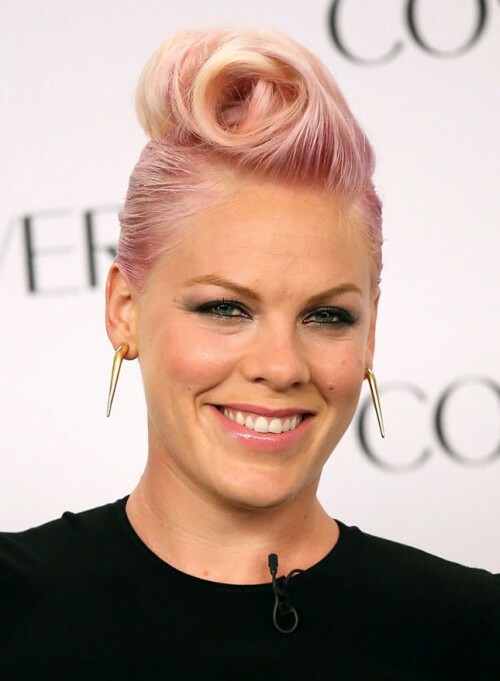 Color your roots with lighter shades of purple-pink and the lightest ones for the rest of the hair, and you will totally rock the pink popstar look. This is a truly whimsical hair color for creative and spirited women. The flowery color of the hair is enough for anyone to adore this hair look at the first sight! The shades of pink on the roots make this hair color even more adorable and cute. 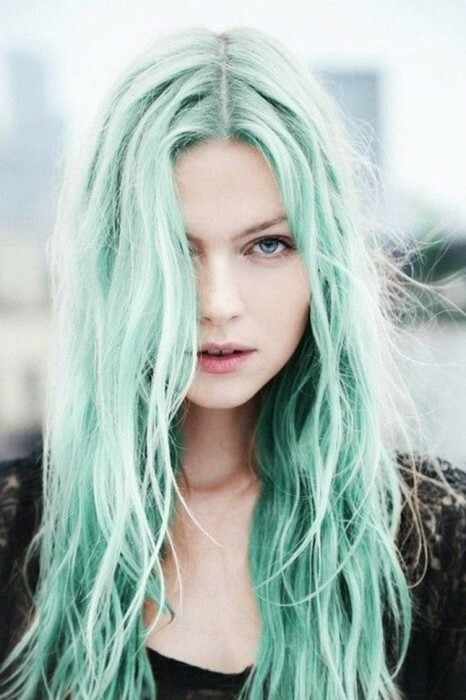 This is a different hair coloring idea and it takes a lot of boldness and true passion for pastel hair to achieve. Light hair color lovers will love it! A pro-tip is that this hair color with dints of pink looks simply gorgeous on pixie haircuts. The classic pastel purple is indeed a beautiful hair color. The simplicity and cuteness of the hair makes this one the favorite pastel purple hair coloring idea of many women. Vibrant eye make-up and pale skin tones make the perfect match with this hair color. This is the hair color that does not suit just everyone. But if you have a fair and clean complexion with light colored eyes, this is probably the most recreational and elegant choice for your hair. 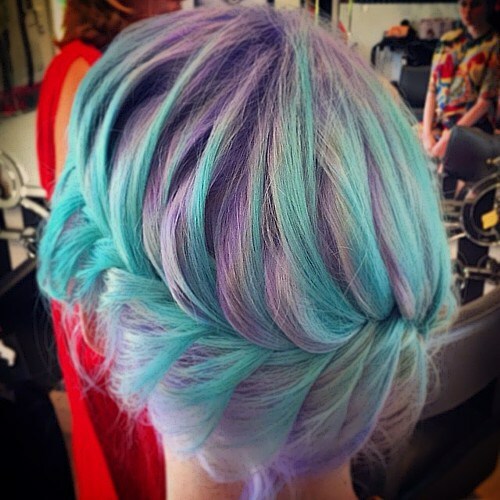 Light blue color makes an exquisite contrast with pastel purple hair colors. They add up to make wonderful rainbow hair which give the them very romantic and girlish vibes. If you are looking for a fun and funky pastel hair color but do not want to stay too committed to it, this is a great hair coloring choice for you. Light shaded Pastel pink streaks are added to the front hair and the rest of hair are left untouched. It looks sassy, different and truly adorable! This is a unique hair color in which exactly half of the hair are colored pink and the rest of the half is colored blue. The overall duet of both looks cool, colorful and casual. One of the prettiest pastel purple hair is the dipped in blue blonde. For exciting improvisations, you can change the blue color with pink, purple or lavender.